In another move to herd Public Mobile customers toward postpaid service, the Telus-owned prepaid carrier is bumping the price of one its most popular recent promo plans, but offering similar pricing if they switch to Koodo, another Telus flanker band. The $120/12GB 90-day promotional rate plan with unlimited province-wide talk is increasing by $30. This makes it $50 per month, rather than $40. The promotional plan was a competitive offer to Freedom Mobile’s own $40/4GB plan, which no longer exists, replaced by the new Big Gig rate plan overhaul. The text also notes customers will get a $100 bill credit. While this Koodo plan is a strong deal next current in-market pricing, which puts a 4GB BYOD plan at $65, the Public Mobile customers that notified MobileSyrup of the deal noted that many subscribers have payment and loyalty credits that can total up to a $10 discount or more. Additionally, MobileSyrup commenters have pointed out that the $120/12GB plan was promoted as one that would not change as long as they remained an active customer. 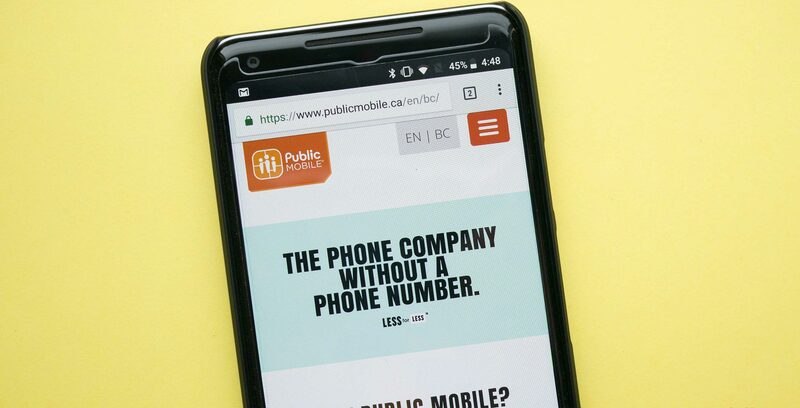 On the Public Mobile community forums, multiple customers have commented that they will submit a complaint with the Commission for Complaints for Telecom-television Services. Though there’s been little direct response to negative response from customers on Public Mobile forums, moderator Marie answered a few frequently asked questions about the Koodo offer. The moderator stated that customers would not be charged more for their current billing cycles, just future cycles. They also noted that Public Mobile add-ons are not transferable, and neither is the existing balance on the customer’s account. “This is why we have worked with Koodo to offer you a 100$ [sic] credit upon your switch to cover the cost of any lost plan or balance,” they wrote. However, one reader tells MobileSyrup that the $100 credit shows up as a deduction off the first bill only, which might mean it amounts to much less than $100. This is not the first round of promotional texts to go out recently. Last week, a MobileSyrup reader received an offer for a $40 Koodo plan that included 2GB of data and unlimited Canada-wide calling. They had a $120 90-day plan with 6GB of data and unlimited provincial talk. There was no accompanying notice of an increase in price to the customer’s Public Mobile plan, however. In Telus’ most recent earnings call, CEO and president Darren Entwistle said a strong focus for the company is “moving people up the value chain” through prepaid to postpaid migration. Update 15/02/18: Article updated with additional context. Update 15/02/18 (2): Article updated with comment from CCTS. Update 16/02/18: Article updated with information from moderator on Public Mobile forums. Update 16/02/18 (2): Article updated with information from reader on Koodo bill credit.